Before reading about Giovanni 2chic Frizz Be Gone Shea Butter Shampoo & Conditioner, can we just take a moment to appreciate how great the packaging of these products are? With my newly renovated bathroom, they just look so cute! I am in love with these colours, especially against the marble tiles and my pink loofah. MSquared Brands sent me these products for my review. 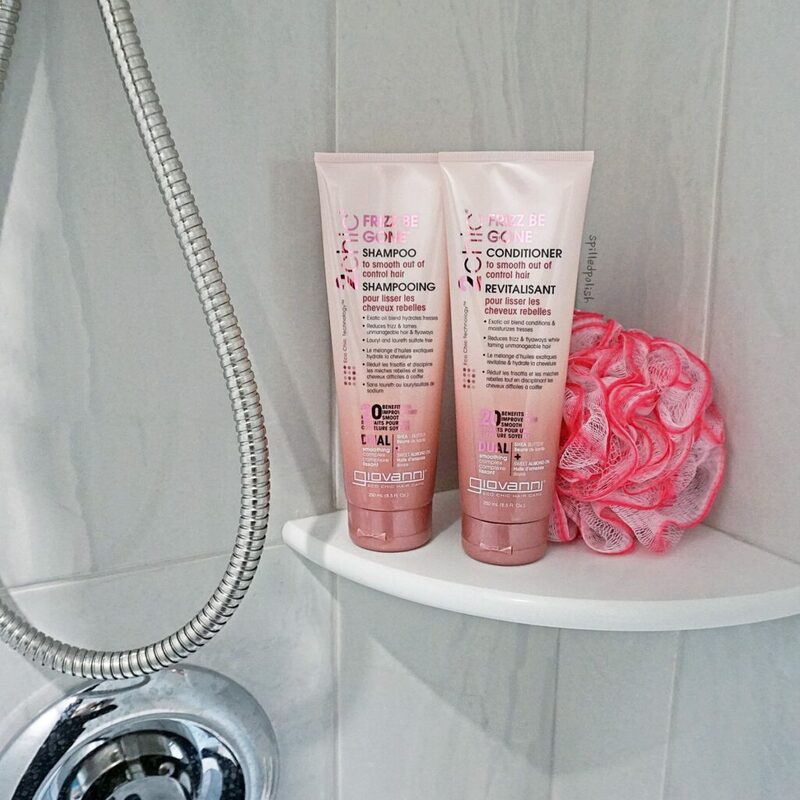 I instantly loved their packaging & all the benefits that their products can bring to my hair, but after actually using it is when I REALLY loved it. My hair felt (& still does) so smooth and manageable. My natural hair is frizzy & wavy, so it didn’t get rid of that, but it definitely tames it! I will definitely have to add it to my cart over at well.ca!